Roughly two months into 2014, the injury bug has finally taken its biggest bite out of a UFC card. 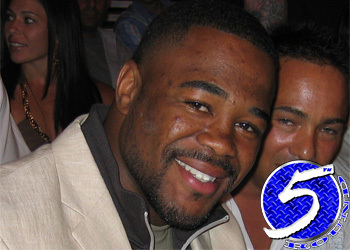 On Wednesday night, the promotion confirmed Rashad Evans (pictured) has suffered a knee injury that will force the former light heavyweight champion out of his pivotal UFC 170 shootout with Daniel Cormier. Because gametime is less than 10 days away, the UFC has decided to pull Cormier from the card and keep the lineup at 10 bouts. The welterweight affair between Demian Maia and Rory MacDonald will now serve as the show’s new co-main event. Based on UFC 170’s current bout order, the bantamweight bout with Alexis Davis and Jessica Eye would get bumped to the main card. However, that move has not been made official. No word on the specifics behind Evans’ injury. However, according to various reports the UFC will save Cormier until Evans returns. Mandalay Bay Events Center in Las Vegas, Nevada hosts the festivities. A bantamweight title tilt between champion Ronda Rousey and Sara McMann headlines the pay-per-view broadcast.